In one of the first English studies of Thomas Bernhard, Fatima Naqvi focuses on the Austrian author's critique of education (Bildung) through the edifices in which it takes place. His writings insist that learning has always been a life-long process that is helped-or hindered-by the particular buildings in which Bildung occurs. Naqvi offers close readings of Bernhard's major prose works, from Amras (1964) to Old Masters (1985) and brings them into dialogue with major architectural debates of the times. She examines Bernhard's interrogation of the theoretical foundations underpinning the educational system and its actual sites. 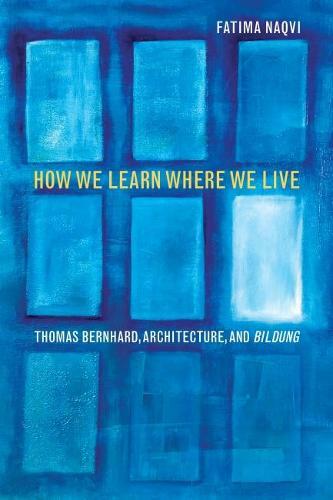 How We Learn Where We Live opens new avenues into thinking about one of themost provocative writers of the twentieth century.